to the new tying album. The Vise is here and I'm ready to go. Well almost, It seems I've purchased a camera without a good "macro" setting . While I wait for my new camera ,take a look at the vise,great value and a fantastic tool. Well Done Peak!! It's a long list,but I've taken 10 years to get this fly perfect. In various colors (Black, Purple, White and Olive) this fly produces on every River I've fish. 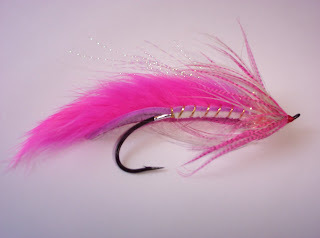 The Pink Matuka spey can be a tricky fly to tie first time,so be paitent and take your time. It can also be tied in smaller sizes,the 3/0 is what the size I fish with the two hander and a heavy tip. We had a problem last week,actually a few problems. The website was lost,my hosting service had a hard drive melt down and lost everything on the drive. I apologize for the down time and hope it doesn't happen again.It took sometime but we are up and running again. I"ll be working with Peak rotary vises, for the Peak Pro-staff team. This is a great vise at a fantastic price! Take a look at my Links page for the URL for Peak, I'm sure you will be as impressed as I was! 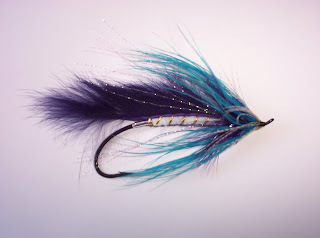 I'll be tying these flies and more "Guide Flies" and will post the recipes on the blog. With spring Steelheading starting soon we'll start with steelhead patterns. These flies have been my "go to" flies all fall. You'll want to have a couple of each for the spring when the water temps get around 50 degrees.